Ghana Attractions - Must See Tourist Attractions You Won't Want to Miss. Today there are more and more people finding out what an exciting place Ghana is to visit. The country of Ghana offers many tourist attractions that are exciting to visit and interesting, whether you enjoy nature, history, or just having a great time. You'll find castles, waterfalls and lakes, natural attractions, and so much more, so you are sure to have a wonderful time. Tourism in Ghana is on the rise, and with all the interesting places in Ghana to visit, it is easy to see why. So, let's take a look at some of the best Ghana attractions to visit when you visit Ghana. If you are interested in history, you'll find that a top tourist attraction in the country of Ghana is the various forts and castles that the country has to offer. You'll be able to visit various castles and witness history from long ago, and most of these castles played an important role in the tragic slave trade that used to be an integral part of the White people's economy many years ago. One of the more interesting places in Ghana to visit when you're looking into castles and forts is the Cape Coast Castle. This is a beautiful castle that stands out on the coast and it actually dates back all the way back to the early 1600s. It was taken over by the British in 1664 and there were literally millions of slaves that were shipped out through this castle. You'll still see the old cannons and you'll be able to take a tour of the castle and even get a look at the "Door of No Return", that so many slaves walked through. Another castle that you'll want to consider visiting while you are in the country is the Elmina castle, which is not that far from Cape Coast. This was actually constructed back in the 1482 and is the earliest structure build by Europeans in the region. You'll get to take a look at the dungeons that were used to hold slaves before they were shipped to Europe or America. You'll also learn that Elmina was where the first Catholic Church in Ghana was built. The Osu-Christianborg castle in Accra, is now the "White House" of the President of Ghana. When it comes to tourism in Ghana, there are many popular waterfalls and lakes that are great tourist attractions as well. Probably the most well known lake in the country is the Volta Lake, which actually takes up a huge amount of the area in the country of Ghana. It is one of the largest man-made lakes in the world. It is the main source of light energy for Ghana and its neighboring countries, since it carries one of the largest dams in Africa. If you visit you, may even be able to find a boat to take you out to see the scenery around part of the lake as well as the mighty Akosombo Dam. Another smaller lake in the Kumasi area is Lake Bosumtwi, which is a lot smaller than the Volta and it is not as well known either. However, there are boats that will take you out on a tour and there are many small villages surrounding the lake that you can visit.You can also go fishing on this lake. You'll find spectacular waterfalls to visit in the country of Ghana as well, such as the Boti waterfall, which can be found in the east. 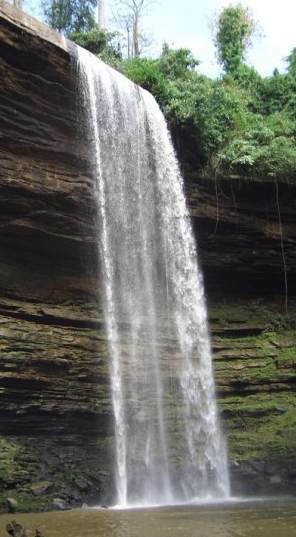 The highest waterfall in the entire country is the Wli waterfall, where you'll be amazed at the water that flows about 60 meters down from the top of the cliffs to the water that is below. For those who enjoy more natural attractions, such as wildlife reserves and national parks, you won't be disappointed. You'll find that there are many great national parks, sanctuaries, and game reserves for Ghana Tourists. You can visit the Boabeng-Fiema Monkey Sanctuary that contains Mona monkeys and white and black Colobus monkeys as well. If you're interested in seeing a few hippos, then take a trip to the Bui National Park, where you'll see beautiful woodlands, the Volta river, and various antelopes, birds, monkeys, and some huge hippos. Probably the most popular park in Ghana is the Mole National Park, which is definitely a top tourist attraction. 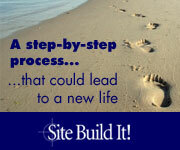 You can easily get there by bus, tro tro, taxi, or a private car as well. You'll find a huge selection of wildlife in the park, including majestic elephants, baboons, monkeys, antelope, warthogs, and even bush bucks. There are some rumors that lions may even be in the park; although none have been seen in the park for about 4 years. Another place of interest is the Paga Crocodiles in the Northern Region. Trained staff can even ride on some of these huge crocs in the water. Believe it or not, its for your eyes only. • Ghana Beaches( This is just a portion of what Ghana beaches has to offer. With many attractions from wildlife sanctuaries, to the enormous amount of different kinds of species of birds, it makes it a perfect place to relax the mind and the body). • Kwame Nkrumah Mausoleum(This is a memorial park, with a monument, a statue of Dr. Nkrumah and a museum that contains his remains and some personal belongings). • Osu Oxford Street(This street is the most popular street in Ghana. It has nice restaurants, night clubs, bars, stores and supermarkets). • Markola Market( In the city of Accra, this is probably the most renowned market place in the entire area. The market is dominated by traders that are women, and everything from imported foods to medicines, pots and pans, and even tools can be found here). 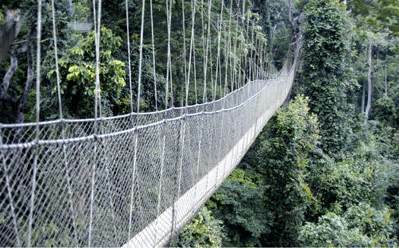 • Kakum National Forest(For locals, who now have restricted use of forest resources under its national park status, the canopy walkway provides an alternative means of income through tourism). • Hans Cottage Botel(On your way back from The Kakum Forest, you can stop at this crocodile attraction in a hotel. All sorts of foods and drinks are served here ). As you can see, there are many interesting places in Ghana to visit and enjoy when you are there. There are so many different tourist attractions to see that you'll be hard pressed to figure out which ones to visit and which to save for your next trip to the beautiful country of Ghana.